Moving to St. Catharines all the way from Toronto may seem like a benign undertaking. But, the truth of the matter is that it truly comes off as a transition of worlds be it in the field of health, awareness, social concerns, politics and pretty much everything you know about your beloved Toronto. While the whole act may seem daunting, it is of great solace to know that you are definitely making a neat step forward with all the great nuances and privileges you will get to enjoy by moving to St. Catharines. 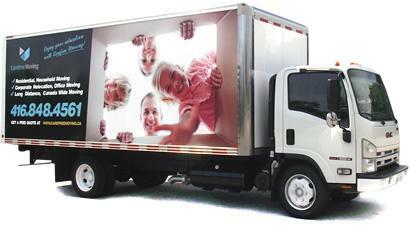 To make the whole process easier can be done through effective Toronto movers. This is the first thing you will need to consider. Duly note that it is grand decision to take which means strenuous efforts are to be expected. However, you can make the whole move extra easy and even fun through the quality services of a Toronto moving company to St. Catharines. The experience is always relative based on the kind of service that you will opt for. And you may go with either the full service or the self-service option. The former goes by letting the company and its handlers do all the work, from packing parcels to transporting to the new location while the latter is more of a moving truck rental. Either way, should you go with any of these two, there are always companies to provide you with both at the best rates possible. -Homes are well-developed yet affordable. -There are home communities situated close to nature's beauties such as lakes and ancient walking trails. -There is an abundance of local natural meat shops and a Farmers' Market for the freshest and finest buys. -Exceptional wineries are everywhere.-A surreally antique feeling is inevitable because of the old town theme all over. All these items are true and I say them all by experience. Then again, before even getting to relish all of these wonders, assistance from moving company Toronto to St. Catharines is a must. It drastically curbs the effort needed and you can have some quality time with the family while all your stuff are being transported to your new St. Catharines location.